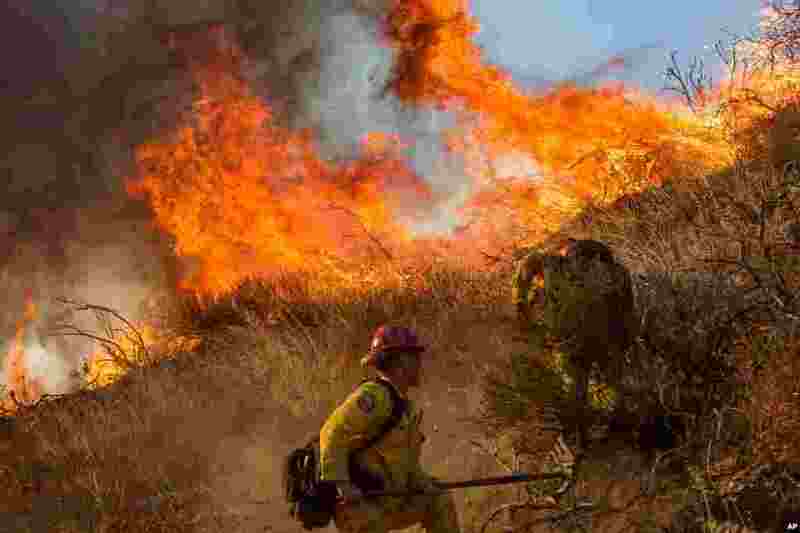 Firefighters in the western U.S. state of California have made some progress containing a wildfire that has burned more than 12,000 hectares since Tuesday, but authorities warned that while they do not know how many homes have been destroyed, the number will be large. 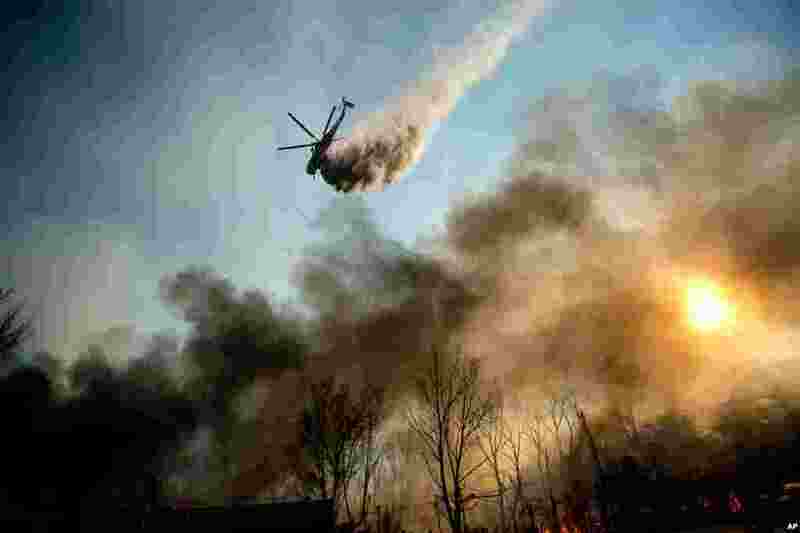 1 A helicopter drops water on a wildfire as it burns through Keenbrook, Calif., on Wednesday, Aug. 17, 2016. 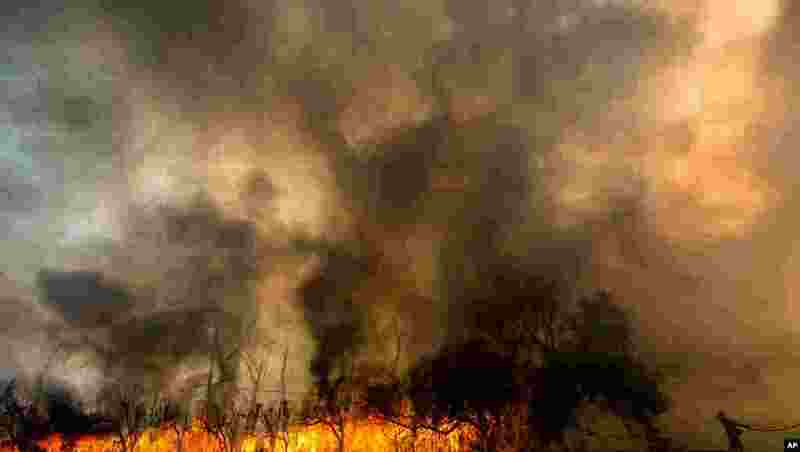 2 A firefighter sprays water on a wildfire as it rages in Keenbrook, Calif., on Wednesday, Aug. 17, 2016. 3 Firefighters battle a wildfire on Cajon Boulevard in Keenbrook, Calif., on Aug. 17, 2016. 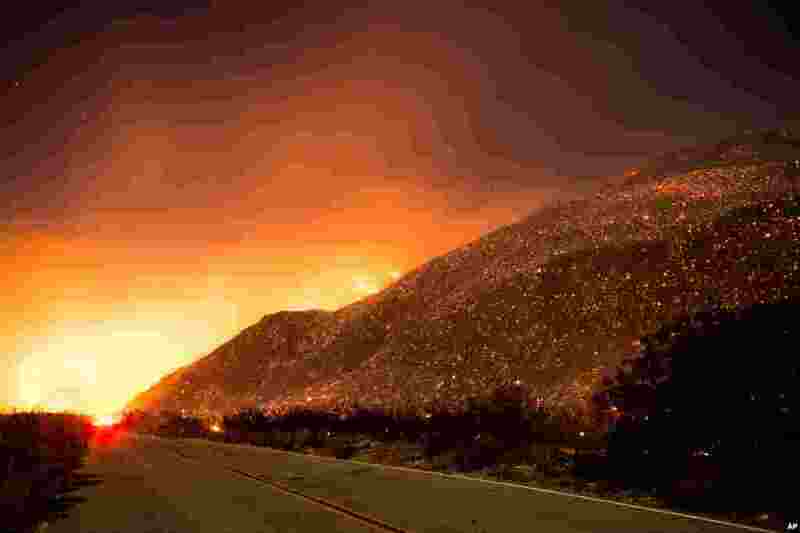 4 Embers from a wildfire smolder along Lytle Creek Road near Keenbrook, Calif., on Aug. 17, 2016.